Various commentators have attributed the IDF's difficulties in the recent war against Hezbollah in large part to cutbacks in training both for conventional wars and for the particular challenges faced in Lebanon. Some have also noted that these cutbacks were related to the dedication of men, training and materiel to the struggle against Palestinian terrorism emanating from the territories. A recent Haaretz editorial, entitled "Save the IDF" (August 23), also notes this negative effect of the focus on operations in the territories upon broader IDF preparedness and suggests an old/new solution: A peace agreement with the Palestinians. The advice is old because, of course, Haaretz has long argued that the main obstacle to peace is Israel's refusal to leave the territories and if the nation would only change this stance it would find a ready partner in the Palestinians. It is "new" because it has been heard less in recent years, for obvious reasons. 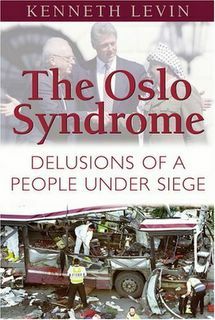 The Oslo era was wracked by terror, culminating in Arafat's rejection of Israel's preparedness to withdraw virtually to the pre-1967 lines and his launching of a full-scale terror war. Following Israel's unilateral withdrawal from Gaza last year, the Palestinians elected a Hamas government that openly acknowledges its objective is Israel's destruction and has conducted incessant rocket attacks into Israel from "liberated" Gaza. These realities have disabused most Israelis of the delusions of Oslo. It is a distinct minority that has learned nothing and remains enamored of those delusions. Few have said over the last month that the problem is Israel's refusal to negotiate with Hamas and if only the nation would do so and give the territories to these elected representatives of the Palestinians then all would be well. The IDF would no longer need to worry about Palestinian terror, and its ranks could focus on training for the threats posed by Israel's "real" enemies. But Haaretz's editors remain among those few. They have learned nothing. They close their ears to what Hamas says and their eyes to what it does and complain that "there has as yet been no attempt to talk with the new Palestinian government." They argue that "security is obtained through peace agreements," continue to fault Israeli presence in the territories for Palestinian hostility and the absence of a peace, and argue that this must change because the IDF "must prepare to face real enemies, not enemies of our own creation." In several editorials published during the war, the newspaper suggested the fight with Hezbollah represented an existential challenge and had to be won. A reader could almost have been lulled into believing that Haaretz's editors were suddenly prepared to look honestly at Israel's situation, rather than through the distorting, indeed blinding, lens of their narrow Israel-indicting ideology. But such a reader would have been wrong. As the editorial “Save the IDF” illustrates, the editors' eagerness to see potential "peace partners" in those committed to Israel's destruction, and "obstacles to peace" in those who recognize the threats facing the nation and refuse to sacrifice Israel's capacity to defend itself, has not waned. Nor, apparently, has their preparedness to see Israel's defenses further compromised and much more Israeli blood spilled in blind, Oslo-like pursuit of delusions of peace.